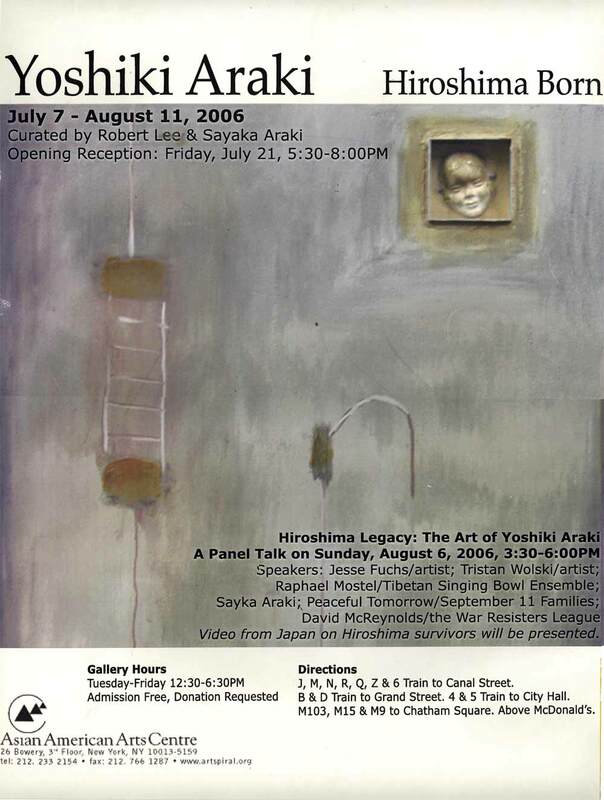 Exhibition flyer for "Yoshiki Araki: Hiroshima Born", at Asian American Arts Centre, New York City, from Jul 7-Aug 11, 2006. 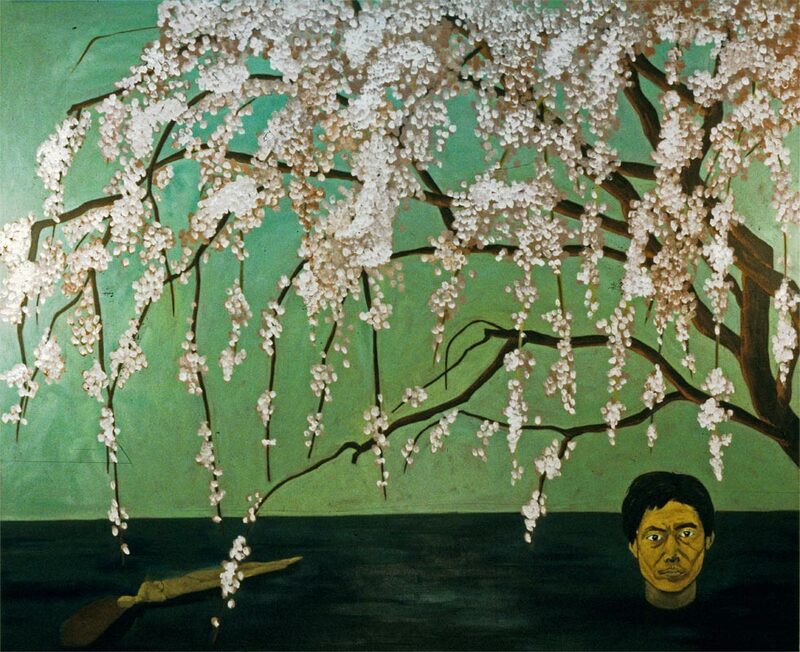 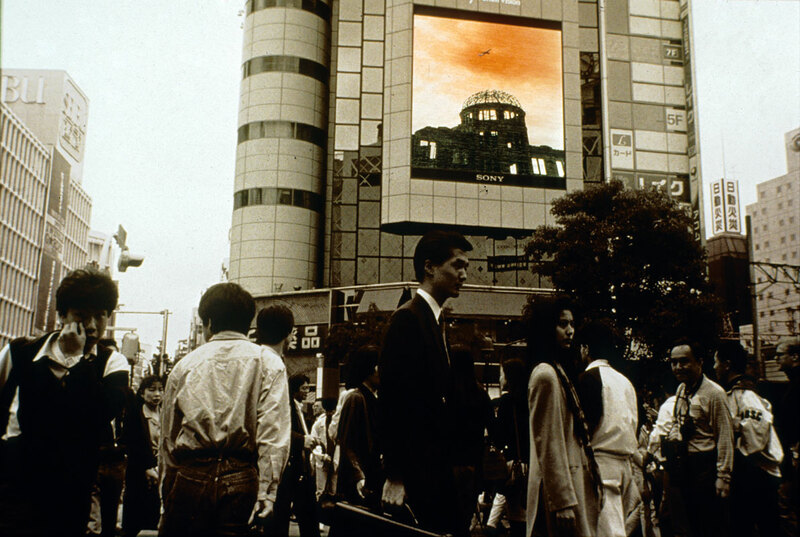 Exhibition poster for "Yoshiki Araki: Hiroshima Born", at Asian American Arts Centre, New York City, from Jul 7-Aug 11, 2006. 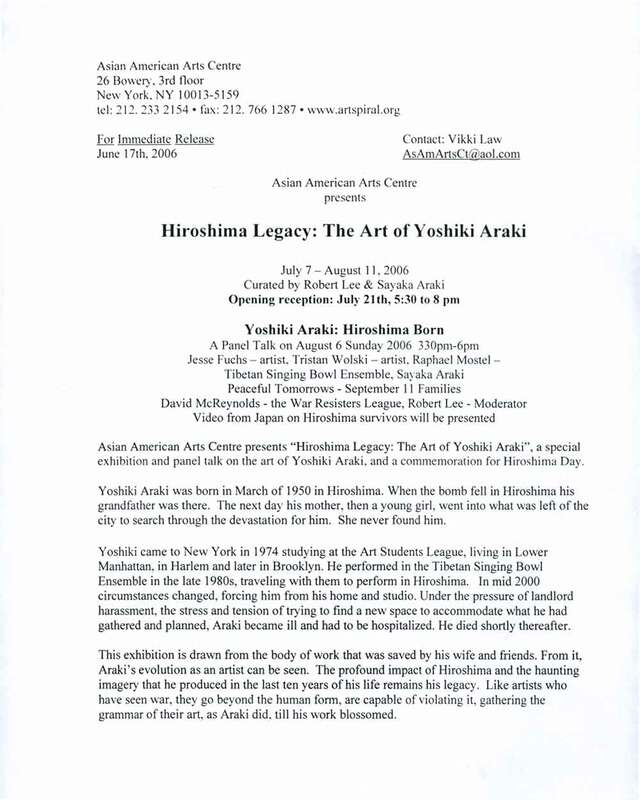 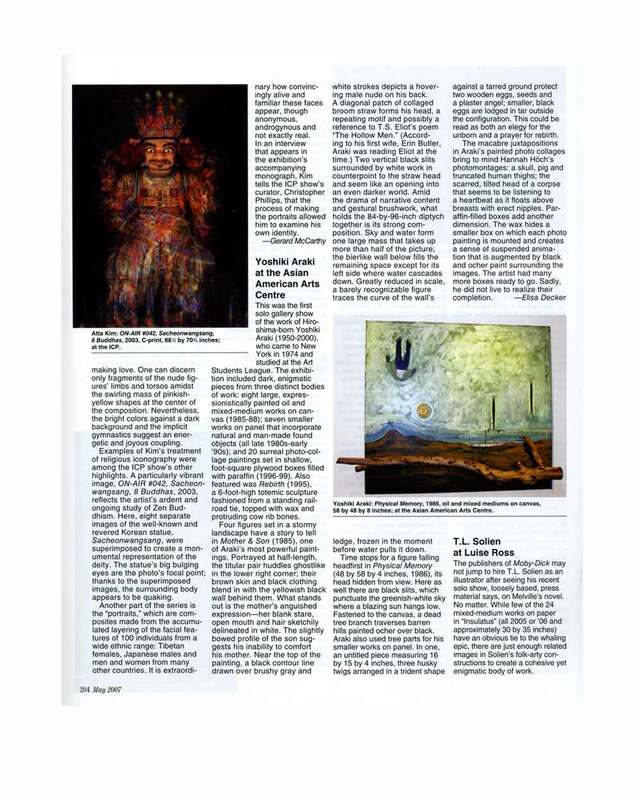 Exhibition press release for "Yoshiki Araki: Hiroshima Born", at Asian American Arts Centre, New York City, from Jul 7-Aug 11, 2006.